You've been looking for it..a detached townhome. Here it is in the exclusive Hallbrook development in Urbandale. 1st floor features a wide entry hall that opens to the study and vaulted great room. The windows surrounding the gas fireplace flood the room with light. The separate formal dining room and the large dining area offer lots of eating options for family & friends. Dining area opens to composite deck. Laundry/mud room off kitchen. Large master bedroom with whirlpool tub & large tiled walk-in shower & walk-in closet. 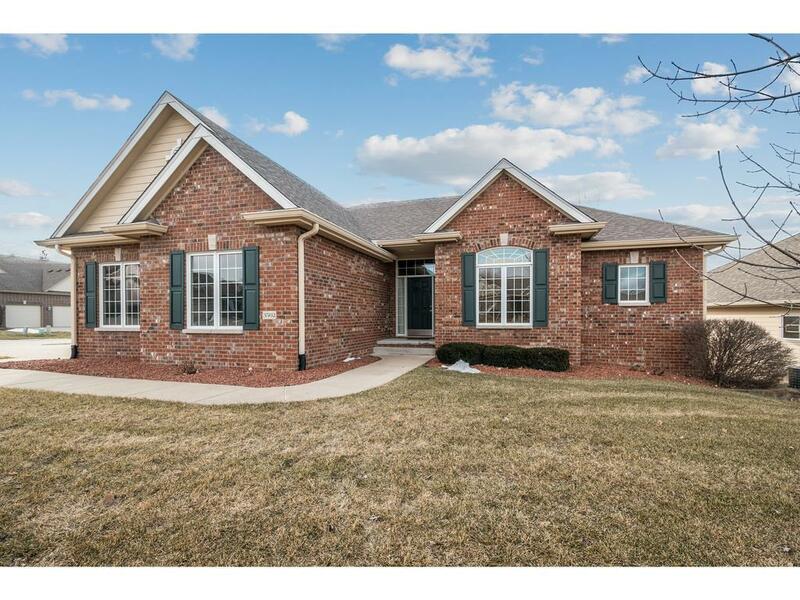 Lower level walkout has family room with fireplace and wet bar. 2 bedroom, full bath & large storage room make up the basement level. Plumbed for central vac. 3 car side-load garage.